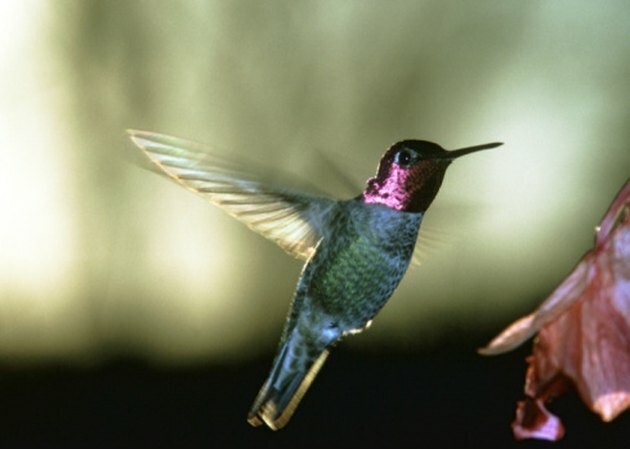 Beautiful and beneficial, birds help control pests, pollinate flowers and reduce the amount of weed seeds in your lawn. Their feces, however, can be a damaging problem. Bird droppings are not only disgusting but they will also leave permanent stains on leather. To prevent staining and discoloration to the leather, wipe fresh bird droppings off with a damp lint-free cloth. The longer the bird feces sits on the leather the harder removing it will be. Watching birds can help elevate stress. Brush dried bird droppings off the leather with a soft-bristled brush. Brush the leather carefully until you have removed all the surface feces. Apply several drops of leather cleaner to a sponge. Some cleaners require mixing the contents well by shaking the bottle before use. Read your specific brand of cleaner for more information. Spread a thin layer of the leather cleaner over the bird droppings with the sponge. Scrub with a clean scrub brush. Reapply more leather cleaner to the stain and wait 30 minutes if the bird droppings remain. Wipe the leather clean with a lint-free cloth dampened with cool water.